Unlike the previous slide, this Western Pacific Geep (no. 727) is clearly stuffed and mounted. 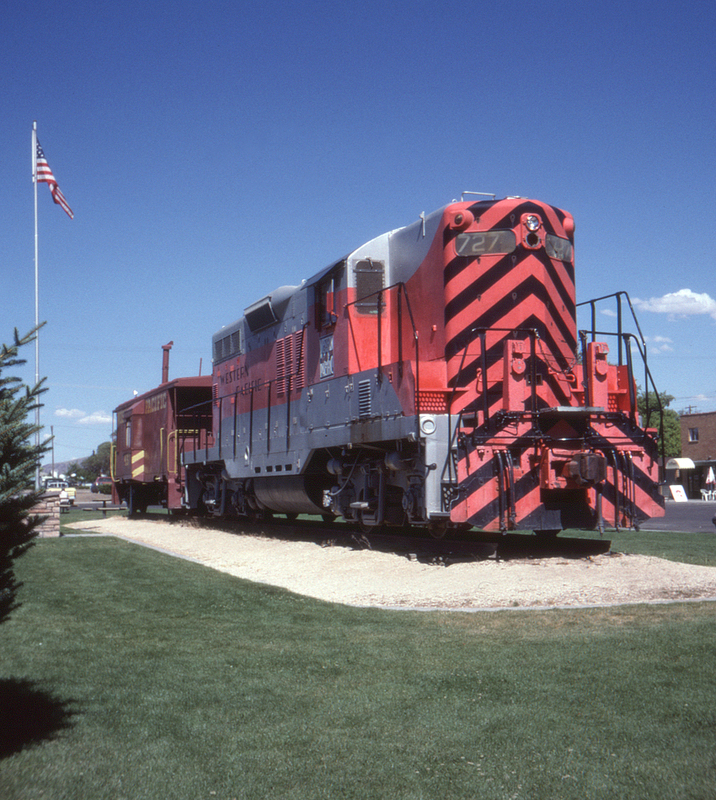 Located on the former right of way of the Southern Pacific's main through town (between Railroad Street and Commercial Street, at the intersection with Seventh Street), this small park is small consolation for the heavy freights that used to thunder through town on this very spot.